Literacy experts Tim Rasinski, William Rupley, and William "Dee" Nichols share a teacher-friendly guide to designing powerful (and fun) phonics instruction and fluency practice. Innovative ideas are presented for performing poetry will motivate students to read and reread poems, building their word recognition, fluency, and comprehension. 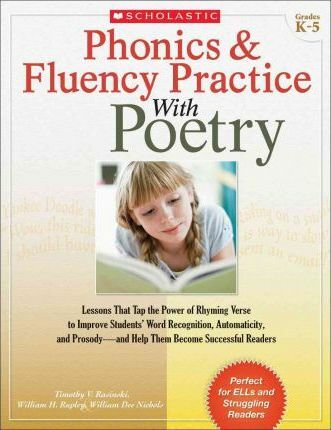 Word-study and vocabulary-building activities further enrich poetry explorations. Daily, three-day, and five-day teaching routines make it easy to weave the reading and performance of poetry into your regular reading curriculum. The book includes dozens of model poems to help you get started right away!